﻿ Slim Optimum Pills Review | Don't Buy Before You Read This! Our biggest concern with this product has to do with the high amount of stimulants it contains. 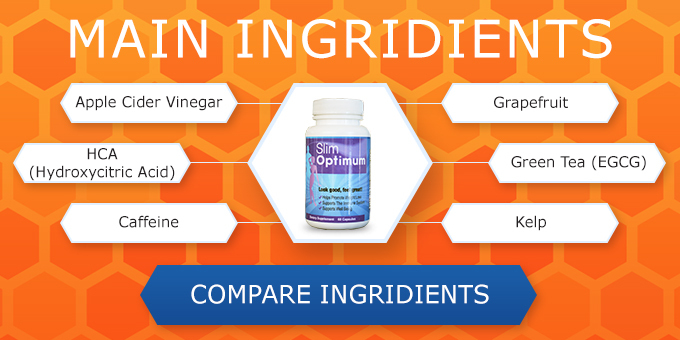 Seeing as there are only 6 main ingredients, from a numbers perspective 33% of Slim Optimum is stimulant-oriented, which although showing proven effectiveness for heightened energy, concentration, and help with hunger, also has possible unwanted side effects such as anxiety, insomnia, and dehydration. Moreover, if the consumer is already a coffee drinker they should be warned against taking this supplement as it may result in an unwanted daily intake of caffeine. Compare effectiveness of Slim Optimum. Moreover, the company behind Slim Optimum is quite elusive. Our research team could find no information related to its manufacturer and there was no physical address provided aside from a mailing address that unhappy customers could send the product back to for a return. All of this points to much suspicion. Hard-to-find companies usually mean plenty of disappointed customers. Upon further research the only company we could locate behind Slim Optimum, was a manufacturer called "Slim Optimum" too. So buyer beware! Slim Optimum is made from all natural ingredients, and contains metabolism boosters. It can help with hunger. Moreover, the product contains HCA, a proven ingredient. Slim Optimum mostly relies on stimulants to achieve results, and even then: there is no conclusive scientific evidence pointing to the effectiveness of this product as a whole. Moreover the supplement is expensive (about 80 dollars for 60 capsules), has no legitimate company behind it, and should not be taken by people who are on medication. Many online complaints exist as well, mostly having to do with unwanted recurring charges. 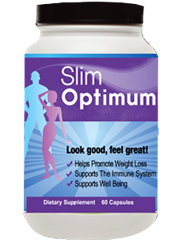 Lastly, it is concerning that Slim Optimum reports no side effects while using this product. Obviously that is impossible to say with any shred of honesty. All bodies are different and there is no way of knowing how each one will react to the chemistry of a certain product. To boldly state a product has no side effects is to simply lie. Just the caffeine in Slim Optimum alone is enough to cause headaches, palpitations, and sleeplessness: all potential side effects. In the world of supplements, many make bold false claims in an attempt to get the customer to shell out a few quick bucks. But the truth is there are many better supplements available. In our opinion the customer would be better served by going with a product that is backed by a solid company, evidence of effectiveness, and proven track record of other solid products.